The Central Washington Bridal Show is committed to providing the most spectacular bridal event in the region, with all the information you need to plan your perfect wedding. Regardless if your wedding takes place in Yakima, Tri-Cities, Ellensburg or the Cle Elum area, you'll be able to interview multiple wedding photographers, bridal shops, florist, caterers, wedding and reception sites, DJs, bakeries, party rental companies, and more – all in one fun and glorious day. Thinking about a destination wedding at the beach? Visit with travel agencies who are able to help. Would you like to see what it feels like to sit in a limousine? We can provide that. 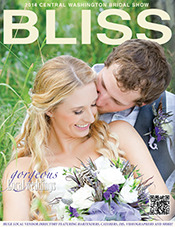 Looking for wedding vendors now and can't wait for the show? Search for a vendor under the exhibitor categories to the left of the screen. A few years ago, the Central Washington Bridal Show went through a complete makeover, modernizing and updating, to make it, not only the most informative bridal show around, but the most fun, comfortable, and enjoyable bridal show in Central Washington. This year will be our 36th anniversary and we are doing it all again. This is the only place in Yakima or Ellensburg where you are able to plan your entire wedding under one roof. We do not present you with just a few hand selected vendors; instead, we offer you the largest collection of quality wedding professionals in our area. What this means to you is more ideas, larger selections, and better prices. We are the only bridal show around that requires its exhibitors to be licensed and local, No hobbyists allowed at this bridal show. Back in the 90s, the Central Washington Bridal show left the Convention Center while it was undergoing a major remodel and moved to the Yakima Sundome. 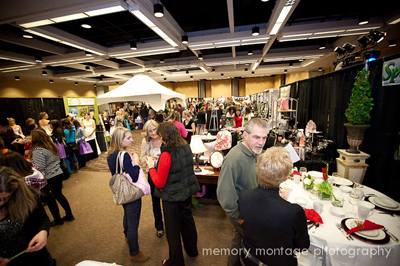 Then in 2012 the Central Washington Bridal Show decided to return to the Yakima Convention Center, allowing us to update the bridal show. This year, The 2019 Central Washington Bridal Show has become a one day event giving you time to ask questions from our exhibitors and to make your selections. The 2019 Central Washington bridal Show will start Saturday January 5th at 11:00 in the morning at the Yakima Convention Center's Grand Hall and run until 4:00pm Saturday afternoon. Stop by and visit with the exhibitors, feel free to ask questions, and, when you find that unique item or perfect exhibitor, be prepared to secure your purchases with a deposit before someone else does.